Located in historic Templeton, Wild Horse Winery was named for the wild mustangs that roamed the hills east of the vineyard estate. Descendents of the first Spanish horses brought to California, these mavericks suggest a free, noble spirit. They are the ideal symbol for the Wild Horse Winery commitment to spirited winemaking. 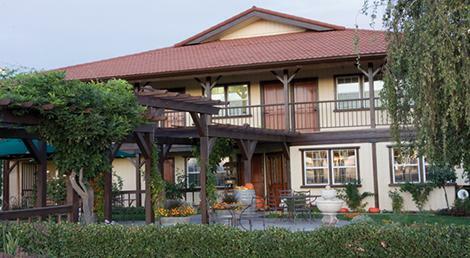 Wild Horse Winery founder, Ken Volk, originally selected the Templeton vineyard and winery location in 1981 for its low vigor soils, proven ground water table, proximity to Estero Bay and rural atmosphere. Situated at a midpoint in the Central Coast, this location is ideal for sourcing fruit from vineyards north and south of the winery. Wild Horse Winery remains a champion of Central Coast winegrowing, committed to sustainable viticultural practices and creating fine wines that express the region's diversity. The varieties of soil composition and microclimates that can be found within the expansive Central Coast appellation present the opportunity to cultivate the same varietal in a wide range of growing conditions. This fact forms a key philosophy for Wild Horse Winery winemaking: multi-vineyard sourcing. While estate or vineyard-designated wines can be outstanding, they offer just one expression of the grapes from which they are produced. Growing the same varietal in different terroirs and then carefully blending the individual lots, sourcing fruit and working with many of the same growers for generations.